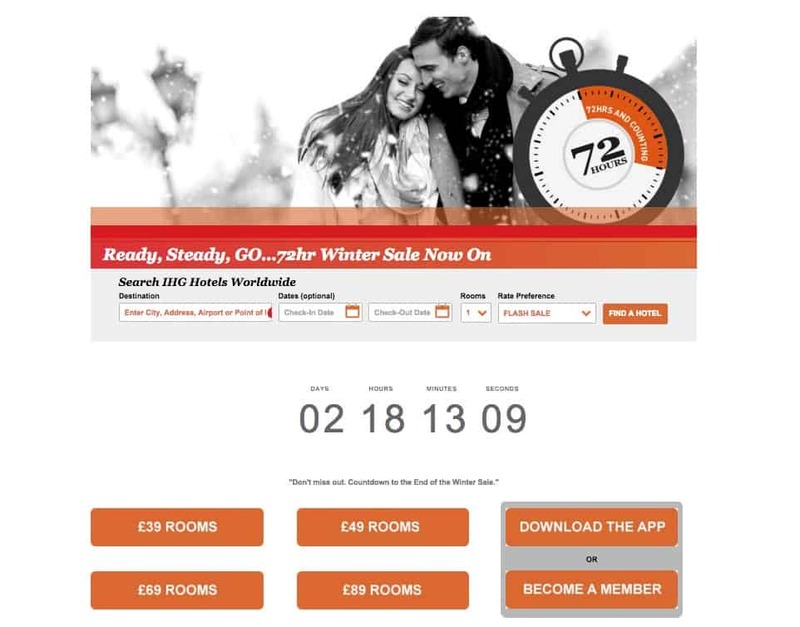 IHG today released their winter sale for rooms in the UK. It is their standard sale that they have a few times a year which is open only for 72 hours, with rooms starting from £39 up to £89. Usually the rooms starting from £39 are the Holiday Inn and Holiday Inn Express and the more expensive properties are the Crown Plaza. Rooms are bookable even during the Christmas period as well which can be good if you are looking for affordable hotels to visit family. You can find all the hotels for this offer here and they are separated by the price of the hotels. One thing that I noticed and would like to bring to your attention is that some properties are cheaper on their standard rate rather than the sale rate. One example which I know for sure is the Holiday Inn Harrogate where I am booking rooms for an event. The property is advertised on the sale for £49 per night where currently on their site it can be booked for £48. 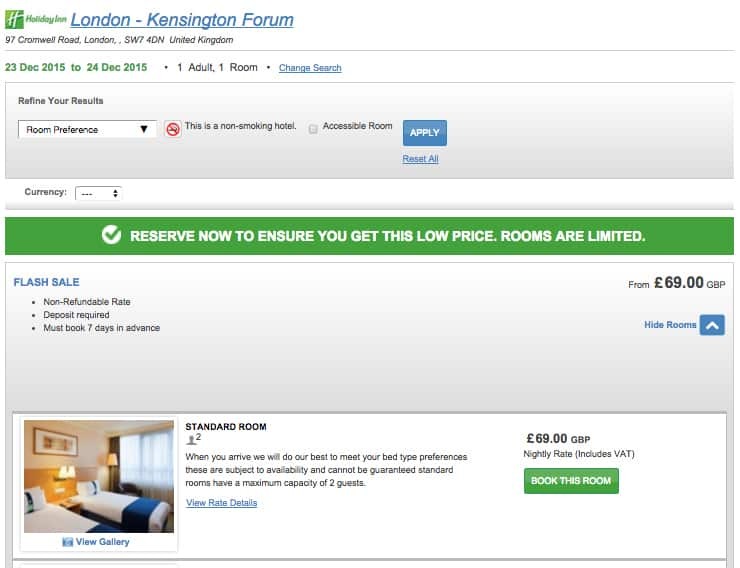 It is only a pound difference but it pays to check both rates before you make a booking. Rooms can be booked from the 1st of December to the 29th of February 2016. The sale can be found via this link. If you are running for the IHG Accelerate promotion this year you have from 1st of December to 31st of December to make some cheap stays.